Why You Should Buy Specimen Trees - Get Trees To Climb Now! Hug a tree. It’s good for you. Of course, unlike a big tree, with a “starter tree” there is not much there to lovingly wrap your arms around. Mature trees are also a wise investment for anyone looking to increase property value. The first impression is vital when you are trying to sell a home. For instance, compare a landscape with just a lawn and some flowers to one that has a beautiful yard with mature climbing trees. A large tree is going to change the look of the house, the vibe, and can cover the home with shade and privacy. Also, that neighborhood with the big, beautiful trees lining the street is much more inviting than those without them. 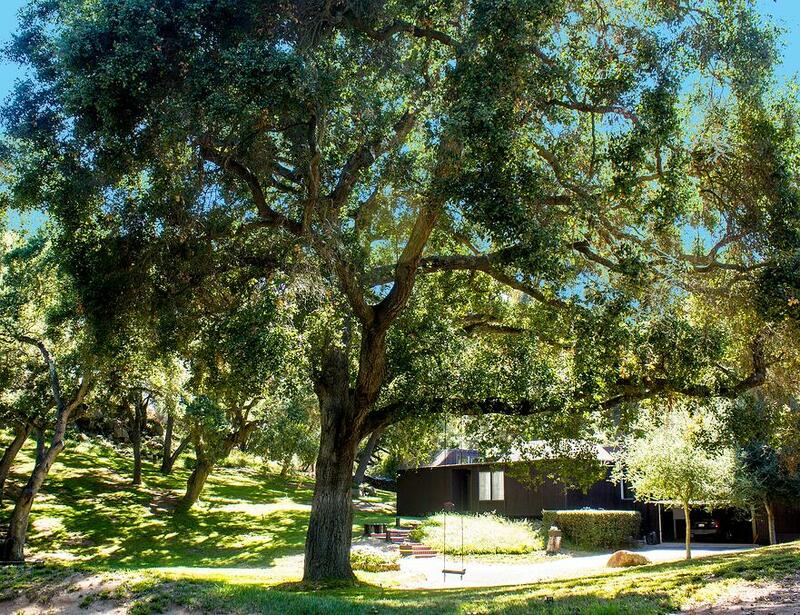 Let’s face it, the home with the big trees in the front yard is the one you are going to remember. Why wait decades for a full-size tree? The word specimen comes from the Latin word specere (to look), which is what these trees are designed to do, to get people to stop and stare in awe at a majestic tree. The thing is, most people do not want to wait 20 or 25 years for their trees to grow to a size that can provide the shade and immediate beauty that most want for their yard. For those that want the instant landscape, the bigger trees are the way to go. Why wait decades for the tree to grow? You can bring immediate natural maturity to your property with a beautiful, thriving tree that is full size, and full of all the features you want in a tree. Remember the days of climbing trees in your yard? How about your first kiss under a tree canopy? Carving your first crush initials on the tree trunk bark? Buying specimen trees are perfect for the entire family too. Large and majestic trees are medicine for the soul, begging to be explored by kids, climbed on, and spending hours hanging from the branches. Climbing trees is a core part of most everyone’s childhood. Most families are going to want to provide their kids with a tree that will bring a lifetime of happy memories, and inspire creativity. Of course, you cannot forget about all the shade big trees provide, offering a perfect spot to enjoy the great outdoors, alone or with family. When shopping for big trees, you will want to be sure that the box size matches the actual tree. The fact is, some nurseries are selling 24-inch box size and up trees with trees that do not match the box, so be sure you are purchasing the tree and not the dirt. 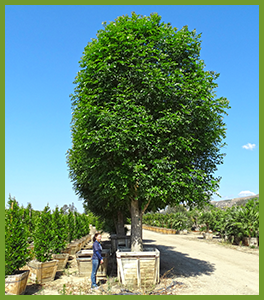 Moon Valley Nurseries has the 42-inch and 60 – 72-inch box size trees and up that are going to give you the best bang for the buck. These healthy, bigger trees already have the dense canopy that provides shade and privacy. Mature trees also have the branches and trunk, as well as the structural interest that make these majestic trees so perfect for climbing and creating instant memories. 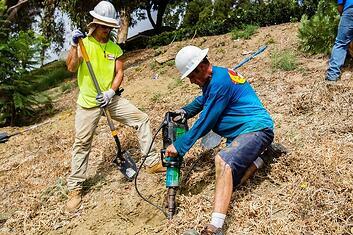 For the best investment, buy bigger, mature trees that are long-lived. After all, purchasing a full-grown tree is like having a living work of art that took decades to create. Here are some of our top picks that are long-lived, can transform your yard, and are ready to help make memories that can be passed down from generation to generation. Majestic Ash (Fraxinus uhdei 'Majestic') – this is a seedless variety of evergreen ash trees, so there is no mess from seeds. These fast-growing trees have non-invasive roots too, so they are perfect for adding curb appeal and can be planted anywhere you want shade and privacy. And for the climbers, they have a firm branching structure, so feel free to climb away and explore, because the branches are not going to break easily. 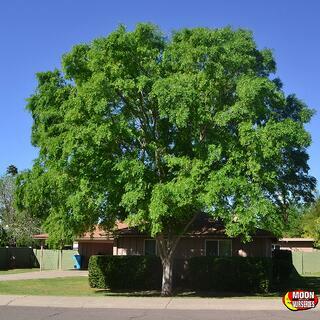 An excellent focal point tree, shade tree, and something that is going to live in your yard for many years to come. Rusty-Leaf Fig (Ficus rubiginosa)– these are excellent evergreen trees that tolerate salt spray conditions, so they are perfect for our coastal communities, as well as inland. They have a broad spreading canopy that provides plenty of shade too. These beautiful trees are a favorite in San Diego and Southern California because their dense growth habit makes them better suited for smaller yards. They are also suited for Arizona landscapes where their canopy is sure to be much appreciated during those hot and sunny days outdoors! Chinese Elm (Ulmus parvifloria) – its broad, natural umbrella-shaped canopy can bring a massive amount of shade to any landscape. Bigger Chinese Elm trees are ready to climb and can handle a tire swing with ease. Look for the “True Green” strain, which has the small, deep green leaves and the upright, rounded growth habit prized by homeowners. Tipu (Tipuana tipu) – looking for a tree that grows well on the coast, provides ample shade, and offers plenty of privacy? Tipu trees do all that and more. These fast-growers feature feathery, bright bluish green foliage and a high canopy that provides a perfect shady spot to cool off during those sunny and warm days. These colorful flowering trees are beautiful all year long, especially when the unique show of golden blooms arrive from late spring into early summer. Oak trees (Quercus)– for climbing, tire swings, piñatas, and shade, few trees can match the Oak tree. These are the quintessential trees for our area and perfect for anyone that wants that classic landscape that can contribute to lifelong memories. Take a beautiful drive anywhere or visit any park and you are bound to witness these large and majestic trees enjoyed by families or as a place for solitude. Several varieties of oaks grow well throughout the Southwest, so be sure to visit any of our nurseries to find the perfect tree for the perfect spot in your yard! 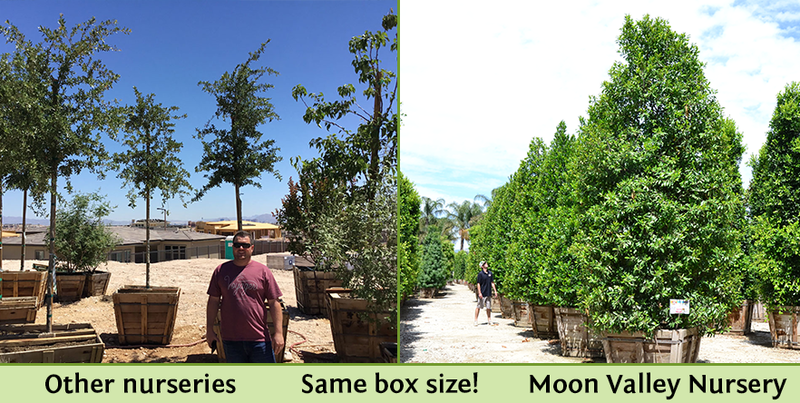 No doubt about it, at Moon Valley Nurseries, we make it easy to buy specimen trees you need to create an instant landscape so that you can start creating memories that last a lifetime. We clone all our trees from the best specimens so that we can assure their quality! One stop wholesale nursery and we've got what you need for your residential property too! #Freeplanting, yep, you read that hashtag right! You can relax while our professional planting team does all the work so that you can come home to a beautiful landscape with large specimen trees!